Here's the information for Saudi Arabia for The Best TEFL Jobs in the World. 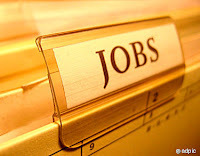 You might also want to look at The Best TEFL Jobs With Worldwide Employers. Remember, that often the stated salary doesn't include allowances. Paul in Saudi states that you'll get about an addition two thirds (65%) in allowances, such as housing and transport. If the job only advertises a salary of $4,000 a month, you'll probably earn about $7,000 total per month. Salaries are dependent upon education and legitimate (meaning that you can prove it) work experience. There are no taxes in Saudi, but you will be living in the Magic Kingdom. Here's a sample contract from Vinnell Arabia. Do your research to make sure you find a reliable, reasonable, responsible employer that will pay on time, give you an igama (work visa), allow you to bring your spouse and kids, and pay for their education, as well as get you the proper exit and re-entry visas. Check out employers with the best reputations and positions that pay $100K and up. Spring is the higher season, so plan accordingly. Go directly to university websites to find their job offers and application. Applications can be a pain to fill out and it's not uncommon for employers to take a long, long time to get back to you. I had a friend get a job offer a year after she applied. TESOL Arabia is one of the best conferences to attend. TESOL in the US and IATEFL in the UK are also good. There's also TESOL.org, the Chronicle, HigherEd Jobs, Jobs.ac.uk, and IATEFL. Check out Comparing uni job offers - advice for the ladies! If you want to bring your family, be aware that it's not common for women to sponsor their husbands. You can bring your children, however, you will need permission from their father. Usually you need to have a document that is less than 3 months old that gives you permission to travel with your children. Remember that unmarried girls are their father's property. Al Hoty Co. Ltd: $6,000-$9,000 a month with 3 vacations per year. You'll need to be a male with at least a BA. Here's an example of their adverts. Aramco: Ah, the famous Aramco. It's hard to get a direct hire position with them, but they seem to be one of the best employers to work for. However, they usually hire males with bachelor status, meaning that you can't bring your family with you. Here's info about teaching at their schools. B3H (men only): Expect a salary package around $90,000, which would include base pay, bonus, 401K matching contributions, airfare, cell phone allowance, insurance, paid vacation, training and certification by the US Department of Defense, Defense Language Institute. This is a US government contract teaching Royal Saudi Air Force personnel. You must be an American and have a US bank account. Part of Booz Allen. Booz Allen Hamilton: Pay with benefits is $6,000-$7,000 per month. Dar Al Uloom University: The University Preparatory Program (UPP) needs teachers to teach up to 20 hours per week (18 is the norm). You'll get $2,600 - $5,300 inclusive of housing and transport allowance. 45 paid vacation with airfare. Masters or PhD required. 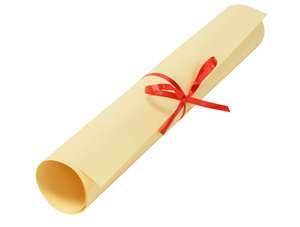 TEFL cert or diploma preferred. 8am-4pm, with 2 office hours per day. May have to work 6 days per week. General Dynamics: Pay with benefits is $6,000-$7,000 per month. Institute of Public Administration (IPA): (Men and Women) Here's a past advert. You'll get about $3,000-$4,000 a month, free housing, paid summer vacation (60 days) with flights, holidays, subsidy for children's education at international schools, private office with computer and internet. You'll teach 22 hours and need at least an MA. HAK group: You can find their adverts at Saudi Jobs. King Abdulaziz University (KAU): Has a rep for the least work for the most pay. King Abdullah University of Science and Technology (KAUST): Fantastic, but extremely difficult to get a job at. King Fahd University of Petroleum and Minerals (KFUPM): (Men only) Decent pay with great overtime opportunities. On-campus housing is provided and all utilities are covered. Students are good and there's a sane work schedule. Great vacations 917-18 weeks per year). No visa issues and most of the time you get what you're promised, which is rare is Saudi. Northrop Grumman (Men only): Must be an American. Follows Vinnell ELTB admin regulations. Expect a salary package around $90,000, which would include base pay, bonus, 401K matching contributions, airfare, cell phone allowance, insurance, paid vacation, training and certification. Prince Sultan University (PSU): Women only. Raytheon: Pay very well, around $80,000, but the students are difficult. Saudi British Centre (SBC): MA preferred but BA and experience also accepted. Minimum of 2 years teaching experience. $2,300-$4,800 plus furnished accommodations or allowance, transport or allowance, igama, visa expenses reimbursed, exit and re-entry visas, scheduled trips, cash advance upon arrival, year-end bonus, 30 days paid vacation and airfare. Teach Away: They sometimes have good jobs. They were recently advertising for an academic director for a women's uni in Riyadh. Salary was $10,000 plus airfare, and 30 days vacation. You needed at least an MA, plus a TEFL cert or diploma, and at least 5 years teaching experience. You also needed experience in strategic planning, development, evaluation, and delivery of programs. Management experience, data analysis skills, and project management abilities. Here's the information for Qatar for The Best TEFL Jobs in the World. You might also want to look at The Best TEFL Jobs With Worldwide Employers. Check out Ivy League and top universities as many of them are opening campuses in Qatar. You might also want to look at The Best TEFL Jobs With Worldwide Employers. College of the North Atlantic (CNAQ): They only hire Canadians as EFL instructors, but they will hire people from other countries to teach technical subjects. In addition to advertising on their website, they also advertise on career beacon. Used to be good, but budget cuts have changed a lot of things. Hopefully they'll get back on track. Check Dave's for more info. Here are some ways to get your teaching license online or through an alternative programme. Find out more by reading teaching at an international school. There are also a number of good books that will tell you how to get an international school job. All the places are in the U.S. unless otherwise noted. Some of them require you to complete student teaching on their campus while others let you do it at an international school overseas. ACSI (The Associate of Christian Schools International) See also NICS. Teacher Ready is through the University of West Florida. Takes 9 months. Here are some reviews of the programme. You will have to do the tests in the USA. Teach-Now is through Washington DC and takes 9 months. You do not have to go back to the USA to take tests. The College of New Jersey MEd and licensure completed over three summers in various countries around the world. University of West Florida has a programme called Teacher Ready. Takes 9 months. Here are some reviews of the programme. This section is for Americans and those living in the US. Alternative Certification Programmes are becoming popular as are teaching fellowship programmes. 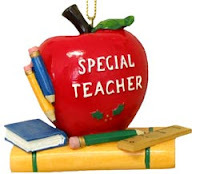 Be aware that often these positions are in high-needs schools, where up to half of the students dropout or in special needs schools.You can check salaries at Teacher Portal. Poll Results October 2014: Have you ever quit a teaching job? October's poll was "Have you ever quit a teaching job?" Here are the results. It's a shame that so many people have had to quit teaching jobs. Schools should really look into investing in their teachers and making their jobs good jobs. 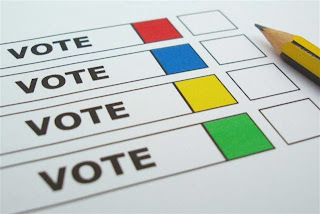 Be sure to vote in this month's poll: Have you ever been fired from a teaching job? Have you ever been fired from a teaching job? 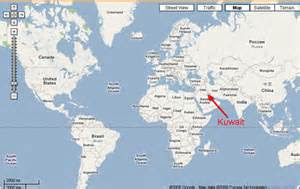 Here's the information for Kuwait for The Best TEFL Jobs in the World. You might also want to look at The Best TEFL Jobs With Worldwide Employers. Most people assume that just because they've got a visa they're teaching illegally. Actually, that's not true. There are many ways that people could be teaching illegally and not know it. Here are just a few of them. Spousal / partner visa. If you're married to / in a relationship with a national, you'll probably get granted a visa. Some countries allow you to work on this visa, others require you to get permission to do so. Check beforehand. Dependent visa. If you're married to / in a relationship with someone with a visa, you may be able to work. Such is the case with Japan. Its neighbour, Korea, has different rules though. It's illegal to work or even study on a dependent visa. Working for someone else. If you have a visa with ABC school and decide to do part-time work at XYZ school, you're probably breaking visa rules. Working on a business visa. Business visas are usually for those who do short-term (i.e., less than 6 months business in that country). If you're there longer, you're working illegally. Teaching private lessons. Korea's famous for this. Teaching private lessons is a big no-no. That's not to say that it's not common for teachers to do this. Don't get caught though or you'll get slapped with a heavy fine or even deported. Teaching on a tourist visa. In many countries in Latin America or Southeast Asia, teachers may teach on a tourist visa. Be aware that in any country earning money on a tourist visa is illegal, even if you do it for a short time. Often these teachers only stay for a short time, or the visa laws are lax so they can border hop and just come back in a day or two later. Nonetheless, it's still illegal. Getting a work visa illegally. Some countries have requirements for teaching experience, such as China. In some provinces you're required to have two years teaching experience in order to get a visa. China being China, it seems to be who you know and who owes who what favour that can get you out of this requirement. It's not unheard of for bosses to fudge teachers' CVs or for the immigration officers to grant your boss a favour if you don't have the required experience. 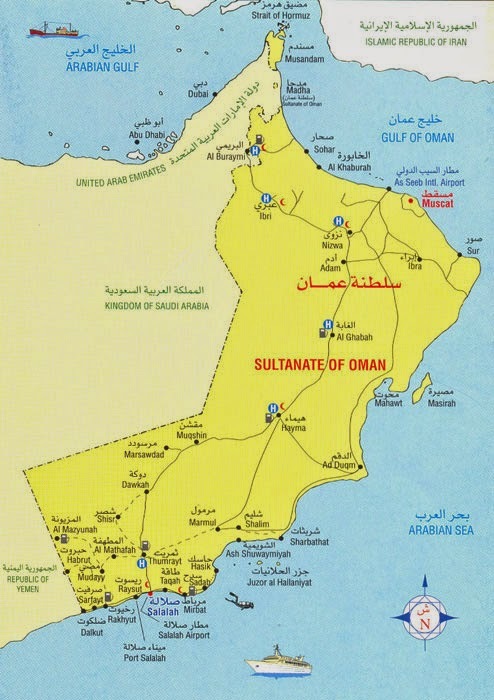 Here's the information for Oman for The Best TEFL Jobs in the World. You might also want to look at The Best TEFL Jobs With Worldwide Employers. Recruiters are commonly used in Oman, but it's best to be a direct hire. 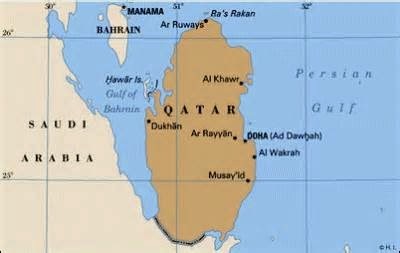 Many employers in the gulf will provide furnished housing, flights, gratuity, medical care (major teaching hospital on campus), and various allowances. Sultan Qaboos University (SQU): Supposed to be one of the best jobs in Oman and very competitive. Pay is about 1400 rials ($3,636) a month. Try doing a search for the "Guide for New Teachers Sultan Qaboos University"
If you've seen it once you've seen in a million times: TEFL certification courses that "guarantee" you a job upon successful completion of the course. If you stop and think about it it's just absurd. How can they guarantee you a job unless it's with their company? Or if they pull strings to get you a job somewhere else? What happens if you do your TEFL cert in Europe, but want to work in Asia, can they guarantee that you'll get a job there? Probably not. That's usually the extent of guaranteed job placement unless they place you at their own school or at another school they have an agreement with. To be honest, it's really only fair that they do this. After all, they can't guarantee that you'll do well at the interview or have a great demo lesson. Nor can they guarantee that the person interviewing you will like you and want to hire you. So the next time you see a TEFL course announcing that they have guaranteed job placement, take it with a grain of salt. No one can guarantee that you'll get the job: it's up to you to wow the interviewer with your personality, skills, qualifications, and experience.